Online ordering menu for Fina's Pizza Restaurant. 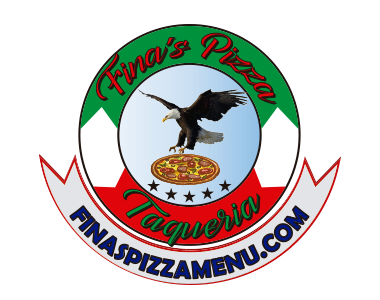 We serve pizza, BBQ, calzones, pasta and more here at Fina's Pizza Restaurant in San Pablo, California! Come try one of our sandwiches including the Meatball Sandwich, Grilled Chicken Sandwich, or the Pizza Sub. Our menu also features quesadillas and tacos! We're conveniently located at the corner of Dover Avenue and 23rd Street near John Herbert Davis Park. Order online for carryout or delivery!